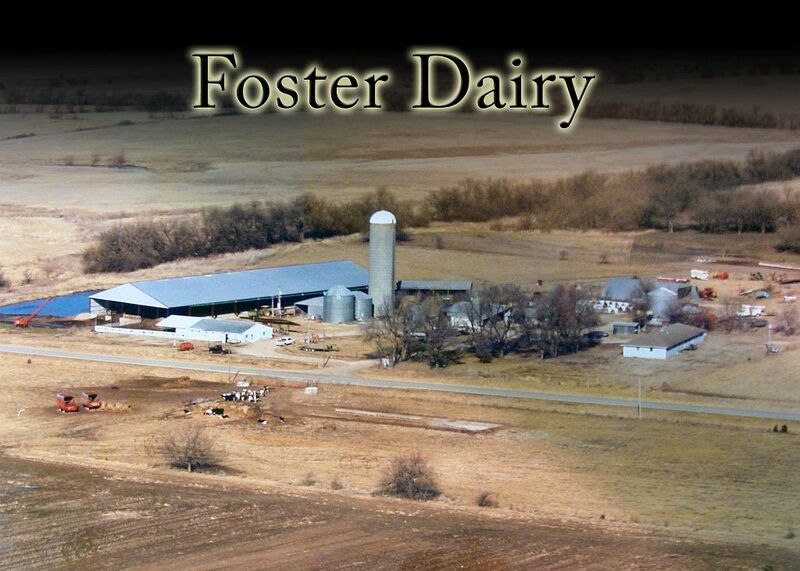 Foster Dairy - Thanks for visiting our Website. David's Top 10 Phrases you will NEVER hear from a dairyman! 9. We are producing too much milk! 8. I got nothing but time. 7. What?? Nothin to fix today? 6. I prefer soy milk please. 4. I think I sleep too much. 3. Who needs a banker? 2. I don't trust research and sound science and would prefer restaurants like Chipotle tell me how to produce the food they cook! 1. I wish the EPA had more power. Thanks for taking the time to stop by and check out what's going on at our farm. Foster Dairy is pleased to have you as a virtual guest and hope that you enjoy taking the time to learn more about how we dedicate ourselves to providing you a safe, wholesome, nutritious dairy product.